I Wish a lot of Chocolate!! The madness of chocolate takes hold of the dessert buffet from April 8th to 19th at the restaurant! 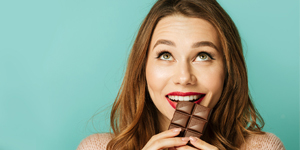 From April 8 to 19 2019, enjoy a delicious chocolate dessert buffet. Mousse, brownie, cake, panna cotta… et même une fontaine à chocolat en vedette ! 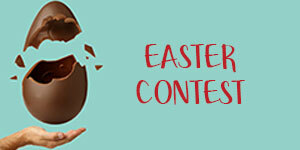 CONTEST: I Wish a Big Chocolate Egg! Guess the weight of the giant egg and leave with it! Guess the exact weight of this egg to win it. Indicate the weight of the egg on your business card and put your card in the ballot box, or fill the coupon available. Whether it’s a business lunch or an evening meal with friends, our large, bright and recently redesigned restaurant serves up simple and contemporary seasonal cuisine. When the good weather is here, take your lunch or dinner on the terrace nearby the pool, relaxation guaranteed. In summer the lounge is extended to the terrace and the feet are in the water of the heated pool. All the thursdays from 6pm to 9pm, Happy Hours ! Buy a drink and get on free!